Chipolo - Chipolo available at Clas Ohlson! Chipolo available at Clas Ohlson! Chipolo is proud to announce our Bluetooth trackers are now also available for sale at Clas Ohlson stores throughout Europe. Like Clas Ohlson, Chipolo shares a passion for smart solutions and ways to use those solutions to improve our everyday lives and we are thrilled to join Clash Ohlson, whose culture stands on similar foundations of family, community and making this world a better place. We are a young company that 6 friends built in their spare time only a few years ago and our concept, innovation and products are all driven by one idea, a core value that we want to resonate through our team, our company values and the community we create with our users – Find Everything Together. We welcome the opportunity to join and learn from a well-established company such as Clas Ohlson who in their 100-year tradition made the world a better place in every way possible – be it through simple and smart solutions for their customers or community outreaches to help the next generation of innovators evolve their ideas. 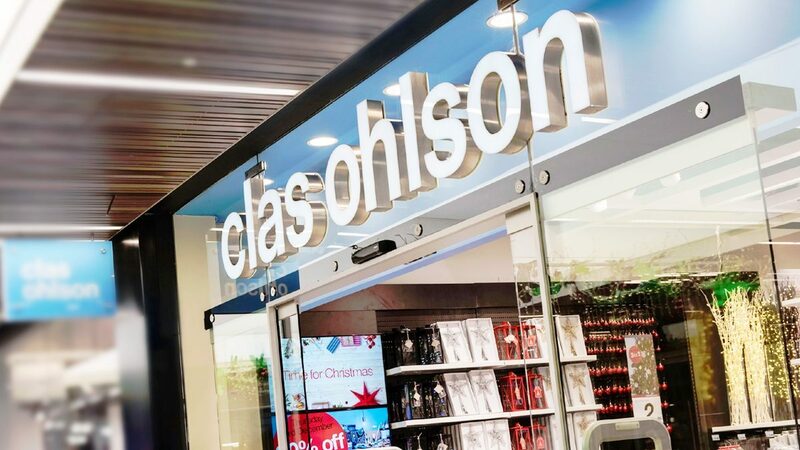 Clas Ohlson is a Swedish company that was founded at the beginning of the 20th century by Clas Ohlson, an entrepreneur with a passion for technology and innovation. Celebrating its 100th birthday in 2018 the company grew into one of the strongest retail brands in the Nordics, with stores present throughout Europe. While the technology and products they offer have changed through the years, their passion has not and today they still aim to improve your everyday life by offering smart, simple and practical solutions at affordable prices. Chipolo is a small Bluetooth tracker that helps you find your misplaced or lost keys, wallet and other belongings, helping you solve a frustrating problem most of us face multiple times per day. It does this by connecting to your phone and through the power of community; either by sharing with your family and friends or using the finding power of the Chipolo worldwide community. In our core, Chipolo will always simply be a group of family and friends. We believe in the power of our community and it’s what keeps us going, pushing the limits in everything we do. Our end goal? Giving every item the power to be found.